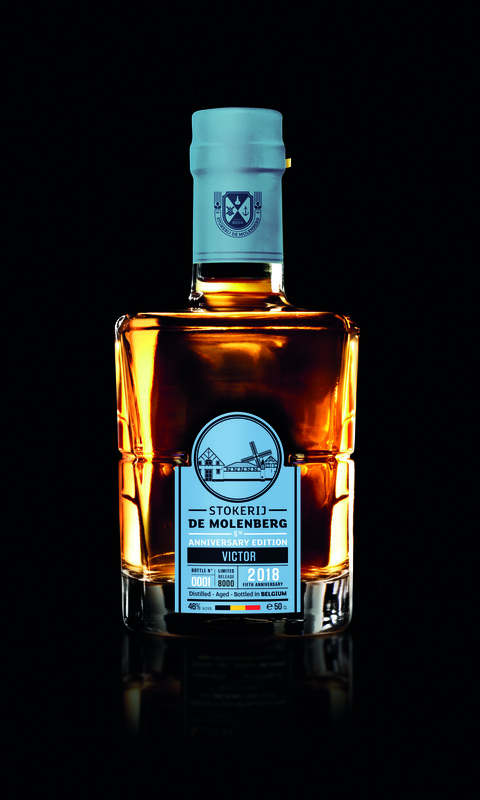 Victor is a limited edition released to mark the 5th anniversary of De Molenberg Distillery. This edition has matured for five years exclusively in First Fill Bourbon casks. For this ‘wood’ anniversary, we selected the finest casks from our maturation chambers. These casks are made entirely of American oak, a type of wood that releases pleasant hints of vanilla, honey and coconut during the maturation process. Victor is a tribute to perseverance, named after Victor Van Breedam, the last distiller at the 'Molenberg' who continued the family distilling tradition until the start of World War I. He was then 70 years old. Since 2010, spirit has once again been flowing out of the distilling kettles at the Molenberg Distillery.